Well this season is certainly making a viable argument for grabbing a wide receiver in the first round of your draft. Week 9 saw surprise sensation Dion Lewis lost for the season and some other running backs are barely holding it together to stay on the field. Hopefully you have drafted well enough or made the right waiver moves to be in position for a playoff run. Whatever your record may be, here are the running back rankings for week 10. Murray is ready to play in week 10, good things are coming. 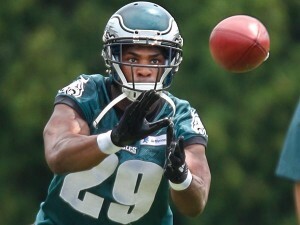 Murray has been clicking on all cylinders for the last few weeks, even with Ryan Mathews getting some touches. Miami is not scaring anyone on defense and Murray should have another big day. Forsett goes up against Jacksonville and he is the Ravens’ best offensive weapon. Whether running or catching passes Forsett will put up points. Gurley is probably the best back playing right now, you never sit him. Adrian Peterson is no longer dominant but he has plenty in the tank to put a hurt on the Oakland defensive front. The only concern is if the Raiders jump out to a big lead. DeAngelo Williams did not disappoint in his start last week, but there is some injury concern there. Doug Martin gets a weak Cowboys defense and he should be able to take advantage. Ingram is basically matchup proof, especially now that the Saints offense is in gear. Blount should see a larger role in the Pats offense with the absence of Dion Lewis. Bernard is the more consistent back in Cincy and as a result merits the higher rank. McFadden has been a borderline stud since taking over in Dallas. Lamar Miller has been great recently but Philly can stop the run so expectations must be lowered for a week. Starks has outplayed Lacy for a few weeks. 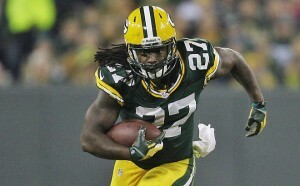 If Lacy cannot go, Starks becomes a top-ten option. Chris Ivory is great, but a matchup with Buffalo is no cakewalk. Lynch has an even tougher matchup against Arizona, but he is a good bet to score. Lacy may not even play. This is not his bounce back week. Jeremy Hill is the definition of risk/reward. Murray would be ranked higher but he is in the concussion protocol and may not play. West would also be ranked higher but he is playing the Broncos. Lacy may not play at all and he is a risky start if he does. Stewart has been decent, but the Titans defend the run well and Cam Newton is on fire throwing the ball. Yeldon may not see a lot of carries because Baltimore is so easy to throw on. Ryan Mathews performs miracles with his limited touches, but he has a dud now and then. Duke Johnson is reliant on passing plays for most of his scoring. LeSean McCoy has an awful matchup on a short week and he is injured. Karlos Williams will see an expanded role whether or not McCoy plays; unfortunately the Jets aren’t likely to give him much. Langford looked great last week but the St. Louis defense is another story. The Broncos running backs looked awful in week 9; I think Hillman has a better chance to produce in week 10. Blue is not an impressive back but he has most of the touches out of the Houston backfield. Vereen is up against his former team and the revenge factor is the only reason to believe he could put up some points. Anderson may be the lead back this week or not, only the Denver coaches know. Chris Johnson has a very tough matchup in Seattle and I don’t expect much. Matt Jones has a fairly easy matchup and I don’t expect much there either. Spiller could break a big one but there is just as much chance that he puts up a donut. Sims remains a nice PPR option and little else. James White is a huge roll of the dice that could pan out if he sees some of Dion Lewis’s touches. Antonio Andrews gets a good volume of touches but that will probably not be enough against Carolina.